Laura McAuliffe and Penel Malby are dog behaviourists and rehabilitation trainers. 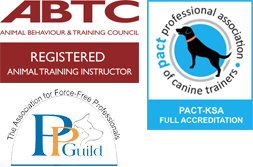 Laura is a full member of the Association of Pet Behaviour Counsellors (APBC) and an ABTC registered Clinical Animal Behaviourist. Laura has a degree in behaviour, a PhD in something quite different and recently undertook a postgraduate course in behaviour at Newcastle University. Laura’s interests are in anxiety and reactivity and particularly in the role of stress in behavioural issues. 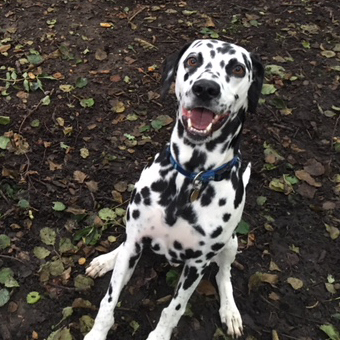 Laura’s current dogs are Sylvi a Timber dog and Lucky a rescue Dalmatian. 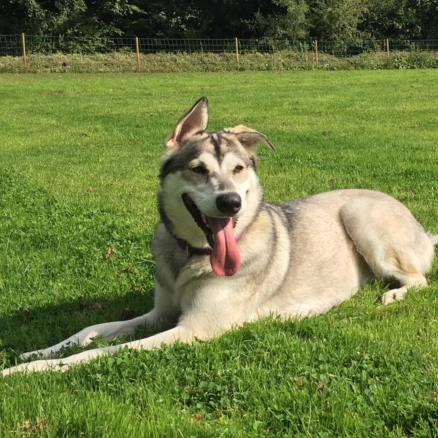 Laura previously had two Lurcher siblings, Luka and Beama, and Elsa a Northern Inuit- all of which worked at Dog Comm and helped 100s of dogs in their lifetimes. When she’s not working at Dog Comm Laura likes helping her local rescue, Epsom Canine rescue and spending time with her children. 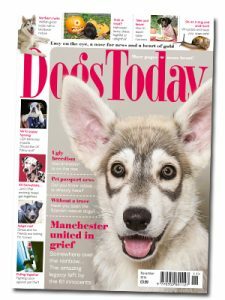 Laura has written articles for Dogs Monthly and Dogs Today on subjects such as grief in dogs, signs of stress, secondary fear and canine communication. Penel has a lifetime of experience with dogs. Penel was a professional animal trainer for film and TV for many years, a very demanding job requiring excellent people skills as well as precise and error-free reward-based methods to train animals to do very specific actions. Penel currently has 5 dogs and first began working with teaching dogs to help aggressive dogs ten years ago. Penel’s cocker spaniel Figgis is a teaching dog at Dog Comm and her lurchers Barley and Gracie helped rehabilitate hundreds of dogs during their working careers. Penel has a real interest in interactions between groups of dogs and harnessing dogs’ natural abilities to enable them to overcome their anxieties and live as full a life as possible. 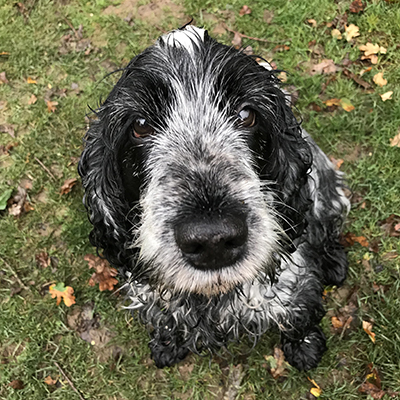 Penel is also a professional dog photographer and has her own studio, as well as private commissions, she photographs dogs for Dogs Today and Dogs Monthly magazines. Both Laura and Penel believe that it’s crucial for dog professionals to keep their skills up to date and they regularly host and attend seminars and workshops. They were thrilled to host the ethology expert Roger Abrantes in 2015 and have recently attended seminars by Rise van Fleet, David Ryan, Jaak Panksepp, Amber Batson and others. Sylvi is a Timber Dog, she’s energetic and an absolute clown to live with. Sylvi loves to help dogs discover play and is often the first playmate many dogs we work with have had in their lives. She’s great with dogs showing frustration around other dogs and she has very clear communication. Lucky is a male Dalmatian. Everyone loves Lucky and Lucky loves everyone- human and canine alike. Lucky is very easy going and loves to help anxious dogs build in confidence around other dogs. Lucky often helps in our Shy Guys class. Figgis is a 9 year old male cocker spaniel, he’s very confident, outgoing and happy to help at Dog Comm.